Ranking All 9 Seasons of “The Office” from Worst to Best | Geeking out about a lot of things. Say what you will about how the U.S. version of The Office ended, but I have to agree with Pam’s above quote from the series finale. Based on the U.K. series of the same name, The Office ran on NBC for nine seasons from 2005 to 2013. 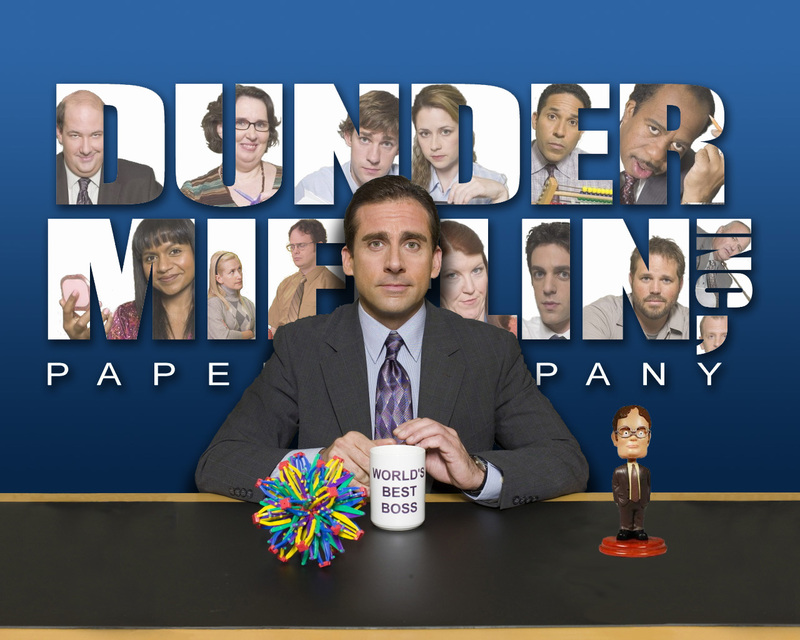 Its mockumentary style gave the audience the sense that they were following these ordinary people’s ordinary lives, yet the setting of the Dunder Mifflin Paper Company’s Scranton branch created an atmosphere that everything these characters did really did matter in the grand scheme of things. Still, not everything was extraordinary about the ordinary, and some seasons and story lines were much better than others. With just over a year since the series finale of The Office aired, time has allowed the entire series (201 episodes in all…can you believe it?) to sink in. It’s now time to rank all nine seasons of the show from worst to best. Many say The Office should have just ended after Michael Scott left, and they point to this season as justification. The first season after Steve Carrell’s exit was very rocky, and as sad as it was, you could just tell the writers were trying so hard. I mean, remember “Pool Party”? Remember how weird things got? There was hope that the trip to Florida some of the workers took could help invigorate things…but it didn’t. There was hope that James Spader could help invigorate things…but he didn’t. Sure, the main character may have been gone, but it felt like it was a completely different show than the first seven seasons. I try to forget this season exists from time to time. You know what, season 9 isn’t all that bad. Yeah, things get all weird and meta with the introduction of the documentary crew (Can you believe it? It turns out the characters in The Office knew they were being filmed the entire time!!!) but what makes this season not all that bad was that it seemed to (or at least tried to) capture the spirit of earlier seasons once again. The whole Andy going crazy and becoming a viral video star plot line was annoying, but there were episodes like “Work Bus” and “Promos” that reminded me why these characters were so great to begin with. I wasn’t completely satisfied with how the series ended, but after the mess that was Season 8, the showrunners did a pretty decent job trying to get it back on track for an appropriate ending. The best moments of the season came when you realized just how much these characters have grown over the course of nine years, and you almost feel like you were a part of it all. I don’t mean to keep dissing later seasons of the show by putting them lower on the list, but this, in my opinion, is the season where things started really heading downhill. It is known mostly as being Michael’s goodbye season, and because of that, some people stopped watching the show after this season. Considering how Seasons 8 and 9 turned out, Season 7 could have been a fitting ending for the show. Yes, it’s nice that Michael got to marry the girl of his dreams, but this season seemed to focus mostly on him and put everyone else on the back burner. The writers tried making a statement that Michael wasn’t the entire show though by including three more episodes after Michael leaves, and while it was interesting to see how Dunder Mifflin functioned without their leader, it all just seemed unnecessary. A promising guest role from Will Farrell turned out to be kind of disappointing and unnatural for the show, and episodes like “The Search” just made it feel like the show was prolonging the inevitable. Despite this, episodes like “Threat Level Midnight” and “Goodbye, Michael” are some of the strongest of the series. It’s too bad the rest of the season couldn’t match that level. 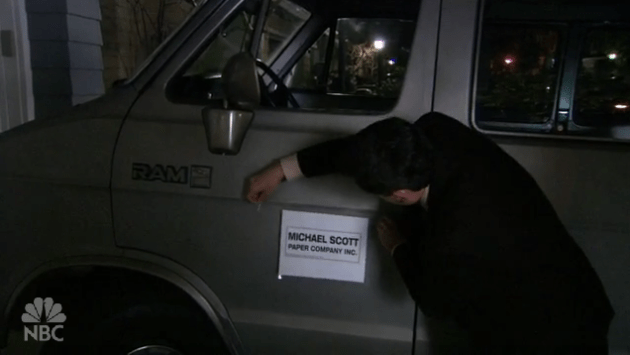 The Michael Scott Paper Company. Holly and Michael’s relationship. Erin is introduced. Pam is pregnant. These are the most memorable things about Season 5. The rest kind of just…happens. Dwight and Andy’s feud over Angela comes to a head, and then there was that post-Super Bowl episode with Jack Black and Jessica Alba. It wasn’t a bad season by any means, just one of the least memorable. Idris Elba fits right in with the rest of the crew as no-nonsense Charles, and Amy Ryan’s Holly was lovable to the point that we were just as heartbroken as Michael when he found out she had a new boyfriend. Season 6 is a season of payoffs. Jim and Pam get married and have a kid, and Dunder Mifflin is under new management. Watching Andy and Erin get together is sweet, but watching the process of the company getting sold drags after a while. Still, this season has some incredibly strong episodes. “Niagara” is about as good as The Office gets, and episodes such as “Mafia,” “Scott’s Tots,” and “Happy Hour” deliver great laughs. Season 6 is truly that last great season of the show before Michael Scott left. It allows the show to mature all while holding on to what makes it so great in the first place. This was the season that took place during the Writers’ Strike, meaning, just like many other shows at the time, the season was cut short. It started out with four supersized hour-long episodes that included memorable stories such as the Fun Run (remember when Michael hit Meredith with his car?) and Michael literally declaring bankruptcy. It was fun to watch Ryan hit the big time only to blow it with his ego and drugs, and we watched with uncomfortable laughter as Michael and Jan’s relationship fell apart. Season 4 had some of the strongest standalone episodes of the series (I’m looking at you, “Dinner Party,” “Goodbye, Toby,” and “Job Fair”), and showed that the writer’s could tell great stories even with a limited episode count. The season that started it all. With only six episodes, season 1 introduced us to these ordinary characters that we all seem to know in some form or another (everyone knows a dweeb like Dwight, and everyone knows a hopeless romantic like Jim). 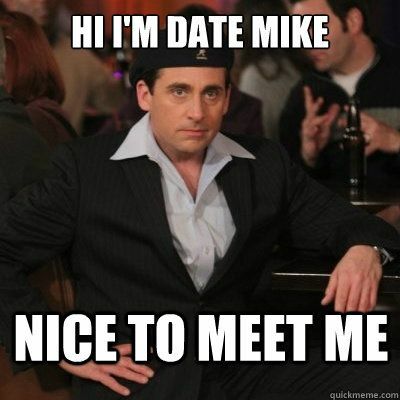 While the Michael Scott in Season 1 is kind of unlikable (Carrell and writers toned the character down for Season 2 and beyond), Steve Carrell totally owns the role. The tone is a bit different in this season than later seasons (you can tell the writers were trying to go for a tone more similar to the U.K. version), it really laid the groundwork in the best way possible for the storylines that were to come in the nearly 200 episodes that followed. Season 3 starts off really ballsy by taking Jim out of Scranton, but brings him, Andy, and Karen back to create great conflict. Andy and Dwight compete for Michael’s attention, and Karen and Pam compete for Jim’s love. These and other story lines make for great multi-episode-arc storytelling, making Season 3 the most cohesive season of The Office. This season had some of the show’s funniest moments (Micheal threatening to jump off the building, Michael’s business school trip, the Ben Franklin impersonator mistaken as a stripper, Prison Mike, Ryan’s visit to Shrute Farms) as well as soon of the show’s most heartfelt moments (Pam’s confession at the beach, Roy tries to beat up Jim, Dwight resigns, Michael shows up to Pam’s art show). Season 3 is The Office at it’s most human, and the season that really kept us emotionally attached to these characters. Best Episode: Lots of good episodes here, but “Safety Training” stands out as the best. When people think of classic-Office, they are probably thinking about this season. By taking a step in it’s own direction (and away from the U.K. version), this season molded the show into what it was for the rest of the series. It also turned the characters into more than just characters, but actual people. Michael became a likable character, Dwight became someone we could actually kind of relate to, and the tension between Jim and Pam became something we’ve all experienced before. The season-long Jim and Pam “will they or won’t they” storyline was the season’s best, and the payoff in the form of a kiss in the season finale left us all shocked. Meanwhile, classic episodes like “Booze Cruise,” “The Injury,” “Christmas Party,” and “The Dundies” can be watched over and over and over again and still maintain the same sense of humor every time. 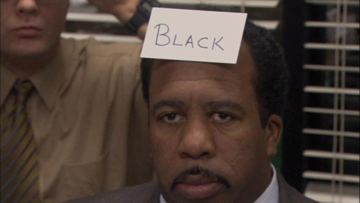 Season 2 is The Office at its finest, and its crowning achievement. The season also won the Emmy for Best Comedy Series, just further going to show how great it really was. How would you rate the seasons of The Office? Let me know what you think! I agree but I probably would have but 9 up a few spots, I thought it was actually way better than 7 and 8. Obviously nowhere near the first four though. It’s a tough call…for every good thing in season 9 there was something bad. The whole Andy storyline killed a lot of it, and I’ve never been a fan of Nellie. I also think the season should have been condensed by like 8 or 9 episodes. Still better than 8 though. I agree for the most part, but my order goes 2, 3, 1, 4, 5, 7, 6, 9, 8. 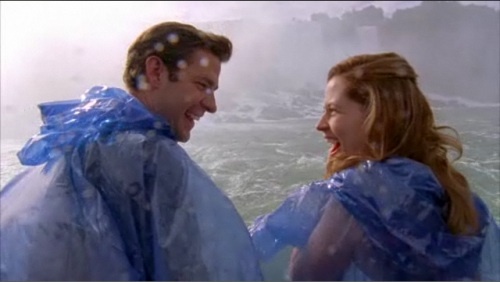 I don’t like Season 6 as much as most people because I hated Niagara (except for the bar scenes) and hated Jim and Pam more and more after they got married. I did not care for 6 at all. Scots Tots is one of my least favorite episodes. Co-manager Jim episodes were terrible. My biggest problems with 9 were Nellie, and the filler storylines for the rest of the cast (cappuccino machine, customer complaint card castle). Seasons 2-5 were the peak. I loved the Michael Scott Paper Company episodes. Another underrated character is millennial, hipster Ryan Howard in the later seasons. I agree with 2 being “classic” office, even though I might like 3 best.